Elster American Meter gas pressure governors and regulators meet the highest demands concerning quality and capacity. The products range reaches from small low pressure domestic, medium and high pressure regulators, spring or pilot-operated, through the full field of application also to LPG equipment and purpose built regulator/metering units. Each series of low-pressure regulators offer various combinations of inlet/outlet pressure ranges and maximum capacities. Elster American Meter has various low-pressure regulators to fit your need. Each series of medium-pressure regulators offer various combinations of inlet/outlet pressure ranges and maximum capacities. Elster American Meter has various medium-pressure regulators to fit your need. Once the decision has been made that a high-pressure regulator is needed, there are various options available in regulators that should be considered. 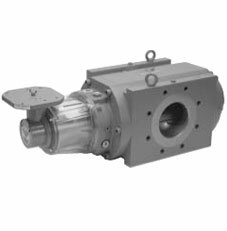 Elster American Meter offers the Axial Flow Valve. The Axial flow valve can be used for pressure regulation, over pressure relief, flow control or act as an on/off valve. This unique design provides a valve that is extremely compact and lightweight. Simple Jet Pump Design Offers Economical Solutions for Many Complex Process Operations! Providing a practical alternative to more complicated and expensive methods, Penberthy jet pumps offer simple, more cost-effective ways to pump, mix or heat a wide range of liquids and gases used in the process industry. Jet pumps can operate with a wide variety of motive liquids and gases. If you recognize any of the following, you can probably use a Penberthy jet pump. Penberthy jet pumps have a myriad of uses. Jet pumps not only pump liquids, they can also heat, mix and blend either in-line or in-tank. Jet pumps can evacuate gases, create a vacuum, boost suction pressures, mix granular solids with liquids and move granular solids with compressed air. In fact, you will be suprised at what a jet pump can do to solve your problem. The purpose of this section and its associated pages is to identify the many uses for jet pumps, to identify pumps for specific processing operations and perhaps recognize new ways to use jet pumps to reduct costs and optimize your plant's efficiency. Penberthy invites you to explore the possibilities of jet pump use in your operation. You might be surprised at the many ways jet pumps can help improve your company's profitability! Penberthy jet pumps can provide a practical alternative to more complex - and costly - process components when a simple, cost-effective way to pump, mix or heat is the answer to your process need. Reliable operation from a variety of power sources allow jet pumps to perform effectively on a wide array of process applications. Not only can jet pumps be used to perform singular duties such as pumping liquids to drain sumps and tanks, or heating liquids in-tank for cooking or circulating, but they can also be used to achieve these functions simultaneously. For example, you can heat liquids as they are pumped for producing scalding sprays, or mix liquids in-tank while adding a second liquid at the same time. 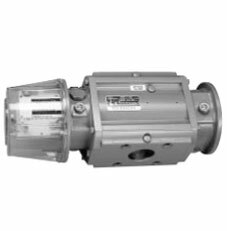 While Penberthy jet pumps differ in appearance, all operate basically the same way. An operating fluid under pressure enters through the inlet and travels through the nozzle -- where it is converted to a high-velocity stream which decreases the air pressure in the suction chamber, creating a partial vacuum that draws material to that area where it is entrained by the operating medium. The entrained material is then carried through to the discharge outlet and dispelled at a pressure greater than that of the suction stream but lower than that of the operating medium. The reliability of Penberthy jet pumps is inherent in their simple design: no moving parts, no required lubrication, little maintenance, easy installation without special structures or foundations. All are self-priming. And all Penberthy models are available in a variety of materials to maximize worry-free service life. Penberthy jet pumps let you choose the operating source that's most convenient for your application. These include aqueous and non-aqueous liquids, steam or even compressed gas. Economical sources which may already be available at your existing facility. And possibly more accessible than another power source such as electricity. Parker Fluid Control Division is a world-wide market leader of solenoid valves that control motion, flow and pressure. With manufacturing facilities strategically placed around the world we are prepared to meet your needs wherever they may be. Our facilities located in U.S.A, Brazil, Italy, Switzerland and South Korea are equipped with a complete staff of experienced design engineers permitting rapid completion of customized valve designs for specific user requirements. Also, each facility has well equipped evaluation and testing laboratories to ensure proper valve operation, long cycle life, and optimum reliability of the product for the application. With sales affiliates worldwide, an extensive distribution network, and broad product breadth, Parker Fluid Control Division is in a unique position to service the world’s requirements for solenoid valves. Parker Fluid Control product line consists of; Gold Ring™, Skinner Valve™, Sinclair Collins®, Lucifer™ and Jackes Evans™. These product lines make Parker Fluid Control Division, the leading supplier of products controlling motion, flow and pressure. Parker Fluid Control products have been designed to offer customers the ultimate in performance, versatility and quality. Every valve is engineered for optimal operation, is constructed with modern machinery that uses stringent processes to provide our customer with a quality driven product. Parker Fluid Control truly has a world class product offering. 2 WAY Valves have two ports, an inlet and outlet. The media is turned off and on but the solenoid, in either a normally open or normally closed configuration. Parker Fluid Control's Direct Lift valves are designed to have the plunger directly open or close the valve as the seating disc is attached to the plunger. These valves are used in a variety of applications including: Material Transfer, Molding, Vending Machines, Instrumentation, Welding Equipment, Water Treatment Systems, Spray Equipment, Dental Equipment, Laundry Equipment, Food Processing Machinery. Parker Fluid Control High pressure line is designed to meet ratings as high as 3000 psi. The High pressure line is used in a variety of applications including: Blow Molding, Compressors, Car Washer Equipment and Pumps. Parker Fluid Control's intrinsically safe valve offering provide a number of significant performance advantages: Low-PowerConsumption; Low Temperature Rise; a Wide Range of Sizes; a Variety of Mounting Possibilities; Media Compatibility; a Wide Selection of Options; and Watertight Construction. The intrinsically safe solenoid valves have approvals for use in the United States and Canada in hazardous classifications for Classes I, II, III, Division 1 and 2, and in the United Kingdom for Division 0, 1 and 2. In Europe our valves are approved according to CENELEC standards. 3 WAY SOLENOID VALVES can come in three configurations, normally open, normally closed and universal. Int he universal configuration, the valve can be used for directional control. Usually the NO or NC valves are used to operate cylinders or other air actuated devices. The valves can have voltages of 120/60, 24/60, 240/60, 480/60, 12vdc, 24vdc, 120vdc, 240vdc. Pressure ratings from 0 to 3000 psi. Parker Fluid Control's valve actuation product offering includes a variety of three- and four-way valves designed with unique features and options enhancing their performance, operational reliability anda pplication versatility. The Series includes All-Ports-In-Body valves, Intrinsically Safevalves, Quick Exhaust valves, Direct Mount valves with NAMUR interface, Ultra Low-Power valves, along with a host ofaccessories and options. In addition, to satisfy the most stringent environmental demands, most valves are available in a choice of body materials including brass, stainless steel, and aluminum, as well as avariety of elastomeric seals. Parker Fluid Control's manual reset solenoid valves are designed for use in emergency. These valves are designed so that once they are actuated, the valve will not change its operating position, unless it is manually reset. Parker Fluid Control's quick exhaust valves are designed to provide large exhaust orifice for quick exhaust. Increased exhaust capacity significantly reduces cycle time for single acting spring return actuators. 4 WAY SOLENOID VALVES are used to operate cylinders and double acting cylinders. 4-way valves can have 4 or 5 ports. One is the pressure inlet port and the remainder are the cylinder and exhaust ports. Parker Fluid Control's valve actuation product offering includes a variety of three- and four-way valves designed with unique features and options enhancing their performance, operational reliability and application versatility. The Series includes All-Ports-In-Body valves, Intrinsically Safevalves, Quick Exhaust valves, Direct Mount valves with NAMUR interface, Ultra Low-Power valves, along with a host ofaccessories and options. In addition, to satisfy the most stringent environmental demands, most valves are available in a choice of body materials including brass, stainless steel, and aluminum, as well as avariety of elastomeric seals. Purchase valves at Flow Factor. Elster American Meter provides Gas regulators as well as Gas Meters. Each series of low-pressure Elster American Meter regulators offer various combinations of inlet/outlet pressure ranges and maximum capacities. Elster American Meter has various low-pressure regulators to fit your need. The compact, high capacity SR113 service regulator is designed for residential or light commercial/industrial applications using various hydrocarbon or other non-corrosive gases. 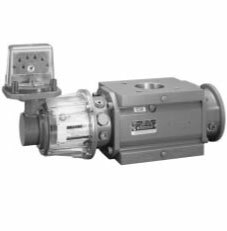 Outlet pressures from 2" W.C. up to 64" W.C. Operating temperature range is -4°F to +158°F (-20°C to + 70°C) with a maximum allowable pressure of 5 PSIG (350 mbar). Flow rates up to 28040 SCFH (800 SCMH). Elster American Meter 1200B series pressure regulators are designed for natural gas residential applications. The Elster American Meter 1800B2 Series pressure regulators are designed for natural gas applications. This series is ideal for light commercial and industrial use. The Elster American Meter 1800C pressure regulators are designed for natural gas applications. Within this series, the models are designed to assure the fast release of gas. Elster American Meter CR4000 is a standard service regulator. With easy installation, CR4000 offers excellent relief performance. The 1800/2000 Industrial Regulator Series is offered as the most ruggedly built industrial regulators on the market today. Design improvements now enable all models to be configured as Monitor Regulators. High Pressure Delivery Regulators(Over 60 psig)Once the decision has been made that a high-pressure regulator is needed, there are various options available in regulators that should be considered. 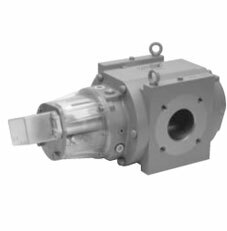 Elster American Meter offers the Axial Flow Valve. Rotary Meters by Elster American Meter at Flow Factor. Elster American Meters offers rotary meters as the RPM Series. These new rotary meters provide accurate flow measurement and outstanding performance in the most adverse conditions. All RPM Series meters mount in either a horizontal or vertical position, depending on available space and convenience. Once installed, all standard and optional accessories can be easily positioned for convenient reading and quick service. All models have extremely good rangeability and are available in various pipe sizes to meet a variety of applications. STANDARD meter with uncorrected mechanical register. Meter with uncorrected mechanical register and instrument drive platform. Meter with Continuous Mechanical Temperature Compensator and instrument drive for mounting a pressure-compensating index or pressure corrector. 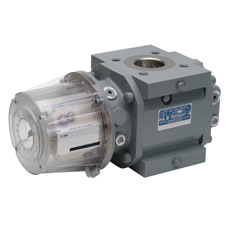 Meter with Continuous Mechanical Temperature Compensation. No more instrument drive accessory and sandwich pulsers are needed. The ERT can be programmed at our factory, in your meter shop or in the field.